Birds aren't too picky. 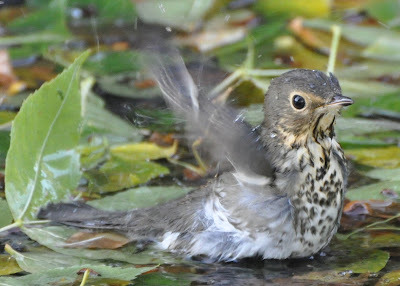 They don't need an official bird bath to freshen up during their long migration trips. 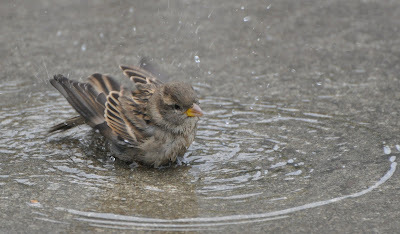 Great shots of these little guys enjoying a bath. 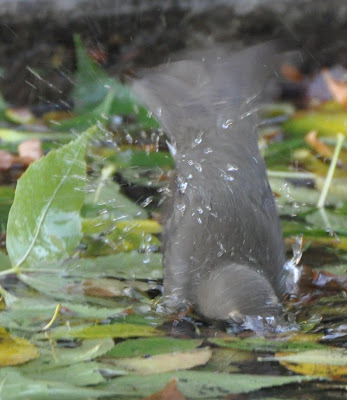 You can see the water drops spraying off of those feathers. Those are really cute shots! I love it when they really get into their bathing.